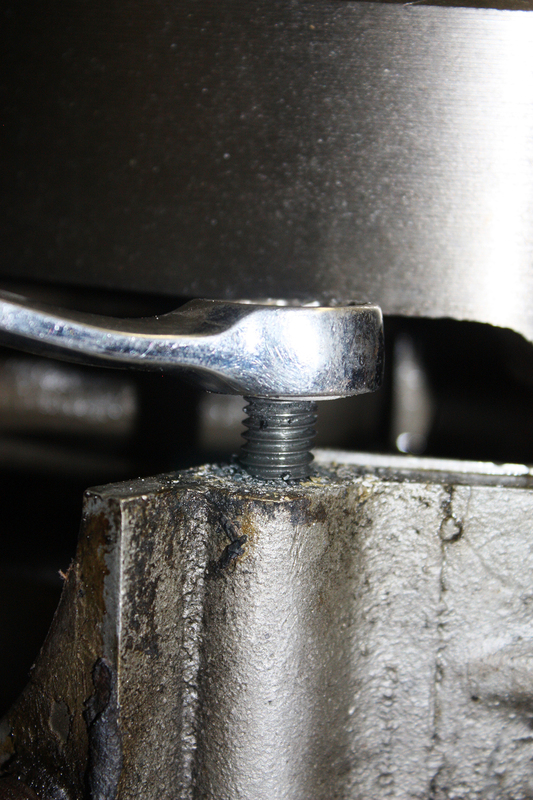 Anyone who has ever worked on older vehicles has seen the dreaded broken bolt. It may be on your vehicle or may be on someone else’s, but it always upsets us when we see them. Why do they always seem to be in an awkward and hard to get to place? Trying to remove them by drilling straight and then using an EZ out can be trying and sometimes still doesn’t work; sometimes in can even make the situation worse. 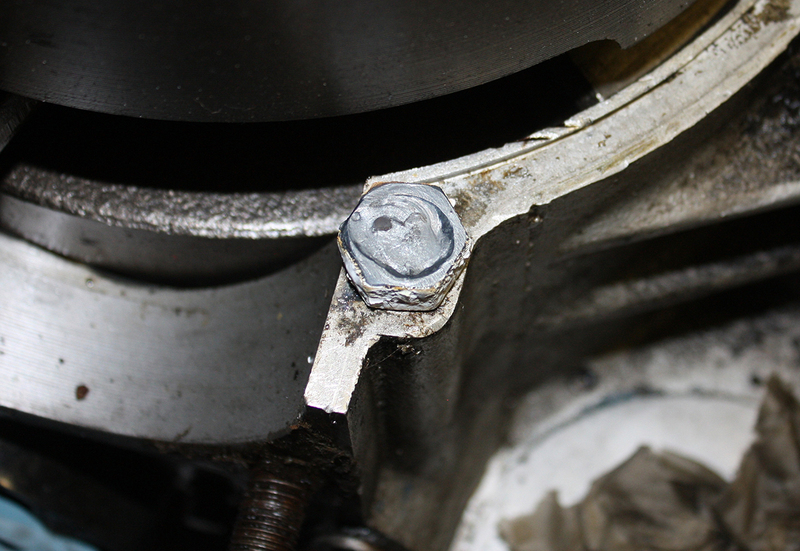 In my shop, I had a motorcycle engine case that had a broken-off bolt (photo 1). I didn’t know it when it came in nor did the owner, but when I went to remove the bolt, it turned very easily. It turned but would not come out. The reason? The bolt had previously broken and the past owner tried to hide the fact by putting silicone on a short bolt and then pushing it into the hole! It looked like the bolt was there holding the cases together so he could sell it. Very dishonest in my opinion. 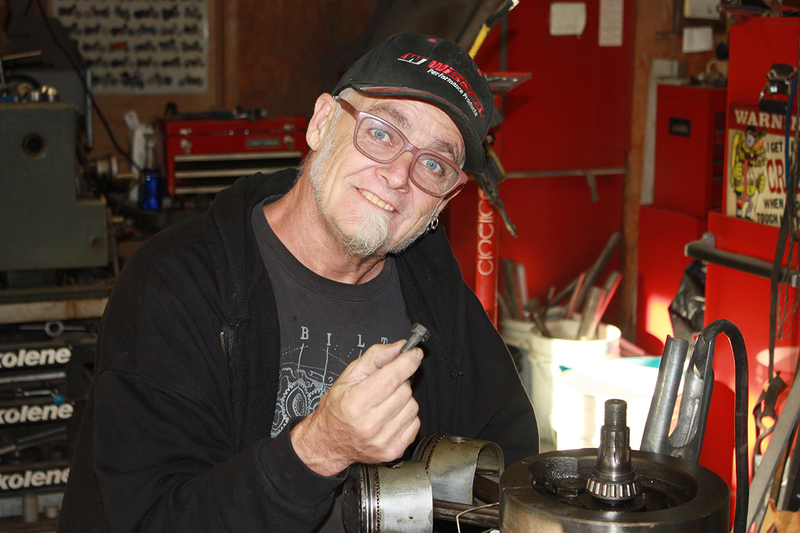 There are several methods to remove broken bolts and I use a few of them in my shop, depending on the circumstances. 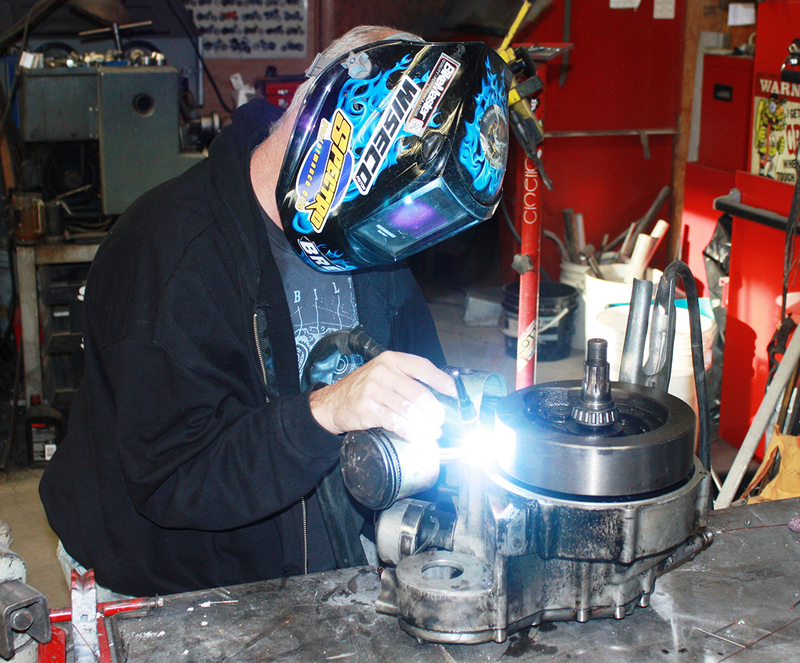 The method I like to use most is welding a nut over the broken bolt. This works for me at most times and is usually a very quick method. Notice I said usually; take your time and don’t rush it! In photo 2 you can see that a 7/16” nut over the 3/8” bolt gives a little additional room to allow for welding it together easily. I usually go up at least one bolt size larger in diameter, but in a few cases I have gone up to an even larger size. Sand the zinc coating off the nut to ease in the TIG welding. Just put the nut on a sanding belt and remove the zinc coating. Notice in photo 3 that the one on the right has had the coating sanded off. You can also drill out the nut to remove the coating on the threads, but I don’t find any issues welding it up with the zinc coating on the threads. TIG weld the nut onto the broken bolt (photos 4 & 5) being sure to get the broken bolt hot enough to give the welding rod a good penetrating weld on it. Then it is time to try to remove it. Sometimes the bolt will now come out easily, but most times it will not. There was a reason why the bolt broke off in the first place. 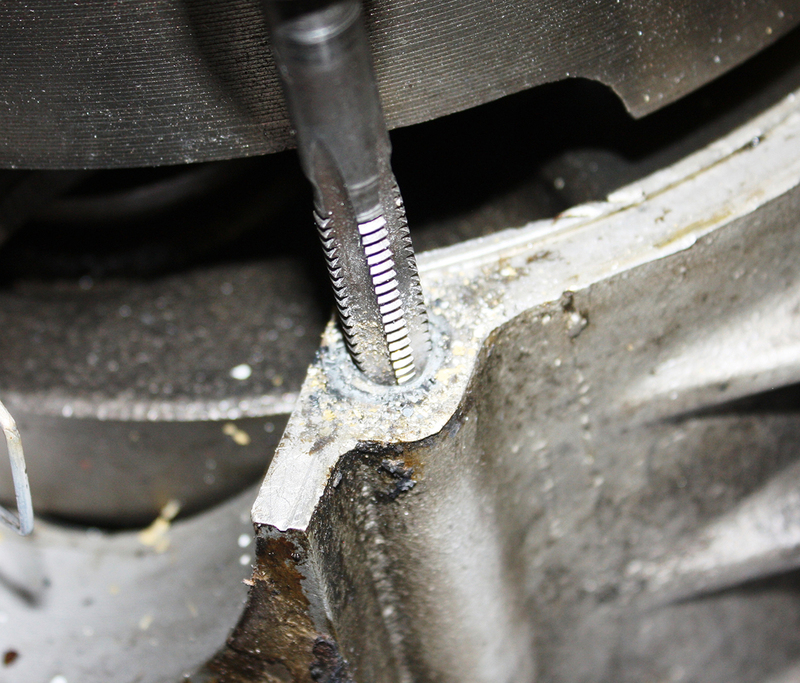 Could have been a bad thread and someone forcing it inn, or a bolt that was too long and bottomed out on the case threads, or it may have been over-torqued. 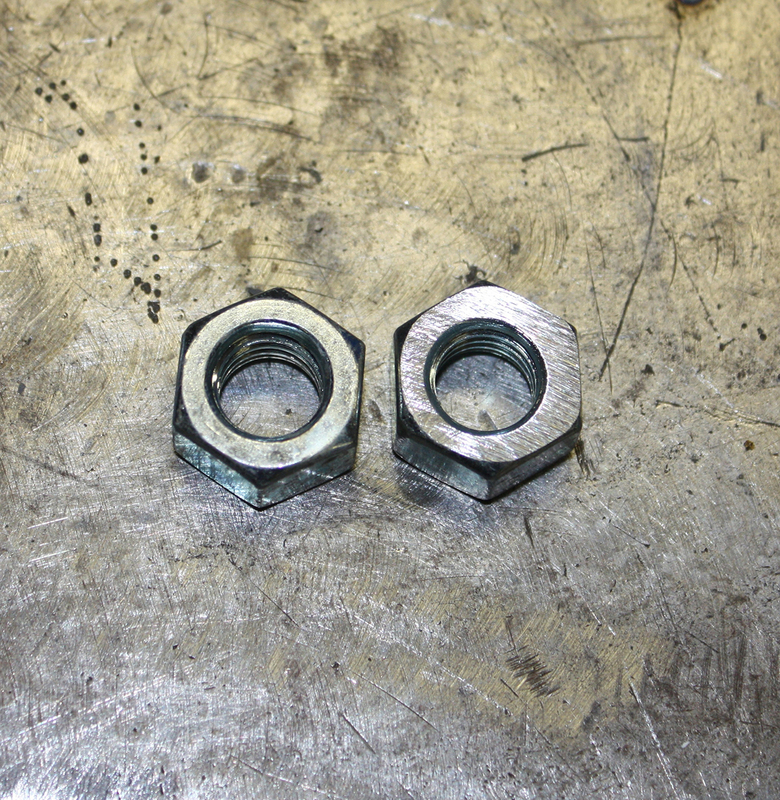 Many people use a cheap hardware bolt where a grade 5 or case grade 8 was the specified bolt. In this scenario it was still hard to remove (photo 6) as with the other bolts I removed, since the previous person (notice I didn’t use the term “mechanic”) who worked on this used red thread locking adhesive. 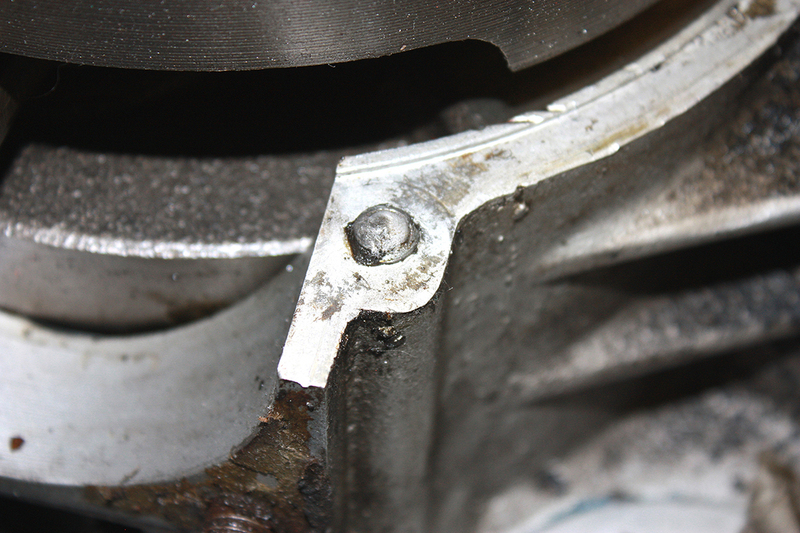 Don’t try to force out the bolt/nut assembly because it may result with the nut breaking off the weld holding it on. 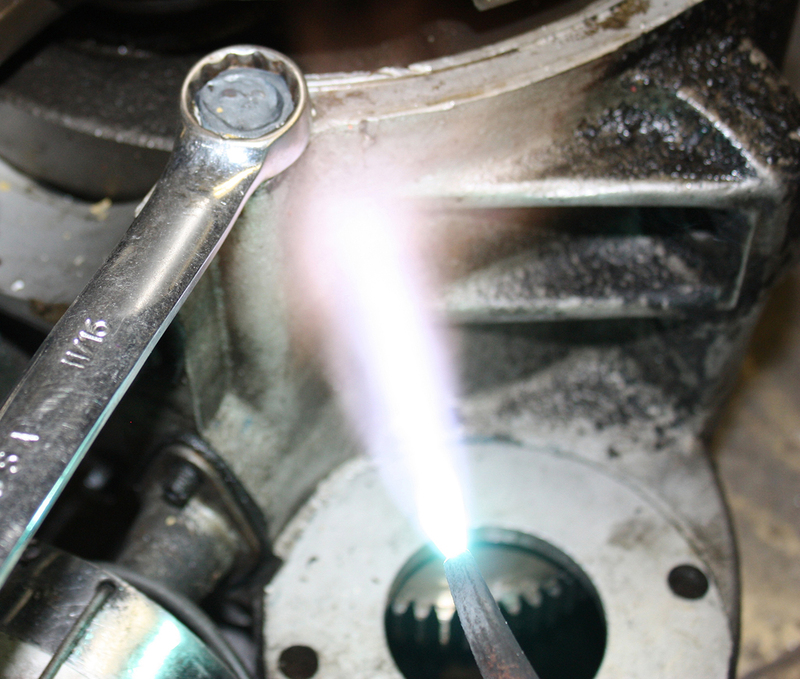 Using an oxygen/acetylene torch I heated up the case area (photo 7) where the bolt threads into. Red thread locking adhesive when heated becomes solvent. In this situation, the aluminum case will expand greater when heated over a steel or cast threaded hole. This allows a loose fit and aids in the removal process. While heating the case I kept tension on the wrench and in a short time it turned with little effort and came out (photo 8). The result always brings a huge smile to my face (photo 9) because I know reassembly will be done with all the fasteners in place. It is important to be sure you clean up the threads (photo 10). Use the correct lube and tap the hole. Take your time and clean the tap if necessary. The holes in this case cleaned up nicely for a 1962 engine (photo 11), and when I showed the owner, he was quite pleased. Taking your time is important because rushing any job can result in more work in the project. 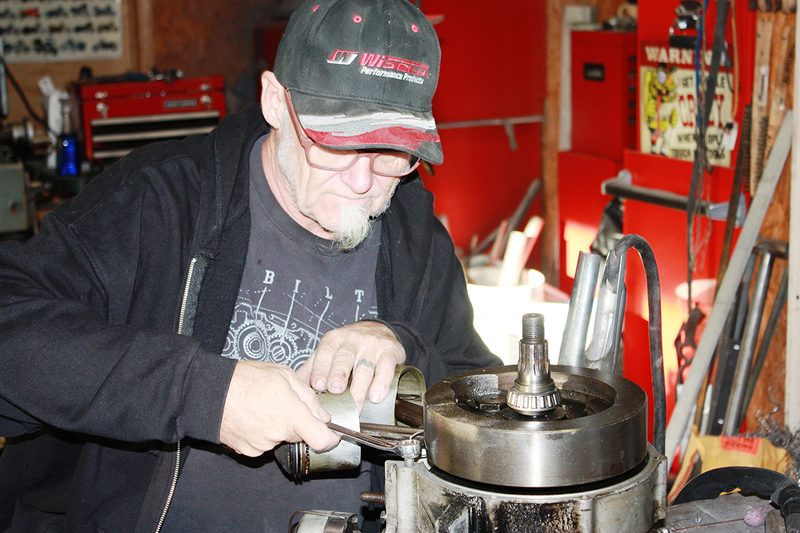 Now, get out to the shop and do some wrenching! Steve, thanks for doing this article. I can’t remember how many times I’ve ran into this problem. I’ve worked in the aviation world where welding and use of a torch of any sort is taboo in a hanger. 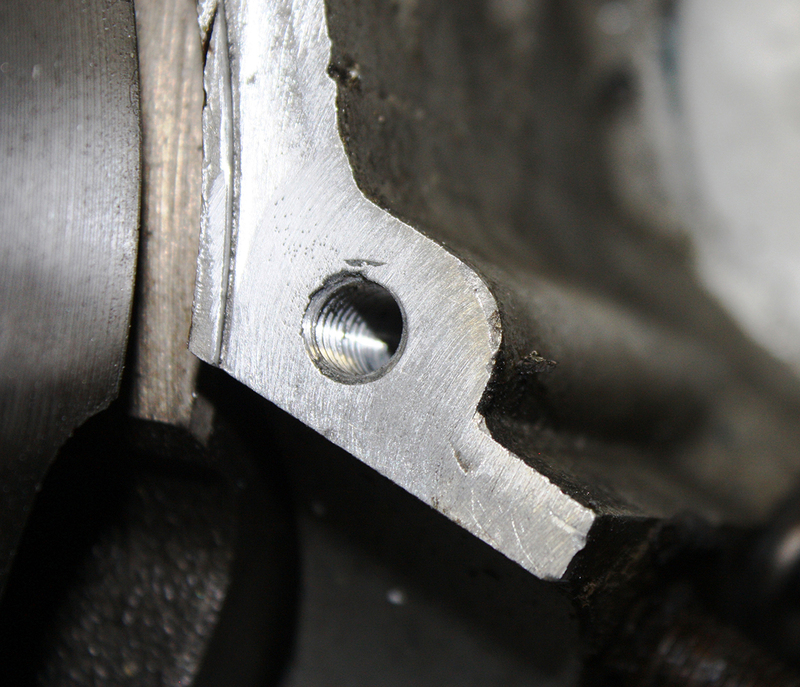 So, the only way to get bolts, mostly high strength panel screws or skin rivets out, is by drilling a hole in the center of the broken, or rivet head. To facilitate hitting the center of it, is to use a ball nose carbide burr 1/4″ or 3/8″, (depending on size needed) with a 1/4′ shank. Using the burring tool in an high speed air die grinder, held by both hands to steady it, grind a convex dome into the screw/rivet/broken bolt shank/head. This helps you in providing a low center in the center of it. Then, using a carbide 1/8″ drill bit you can easily drill a hole for an easy out. Since many of aviation grade fasteners are extremely tough, you’ll need an equally tough easy out. Tap it into the hole with a small ball peen hammer while holding it with needle nose vise grips. Then attach your easy out T-handle to put pressure on the top of the easy out preventing it from walking back out while you turn the easy out counterclockwise with the vise grips. 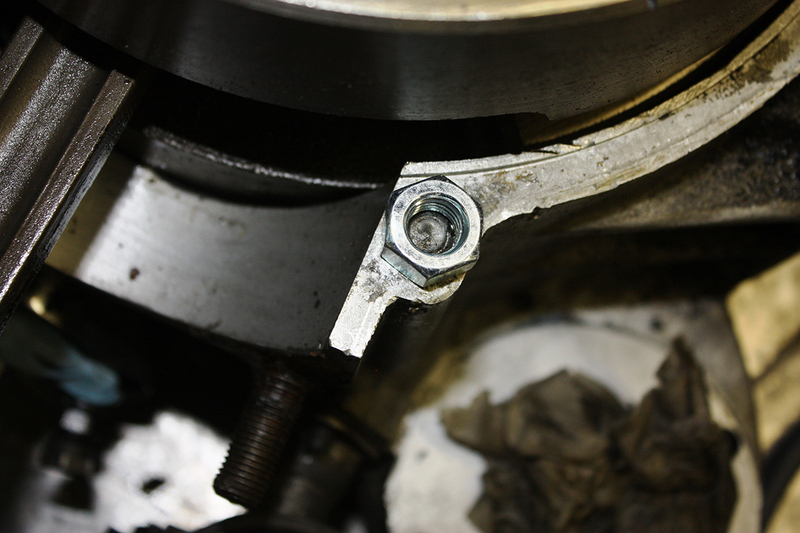 The hammering process shocks the shaft usually allowing you to easily remove the broken culprit. Depending on the material hardness of the broken fastener, you may need two or three extra easy outs because the teeth of them can strip out. Of course, this is accomplished with extreme patience. Otherwise, you’ll have to drill it out which requires much more work and a steady hand. I met to say concave, not convex. Shezzzz I need another cup of coffee.